More than one in four bottles of wine sold from Jura is sparkling and sold under the appellation Crémant du Jura, created in 1995 and one of the seven Crémant designations in France. A little over 10% is rosé, the rest white. 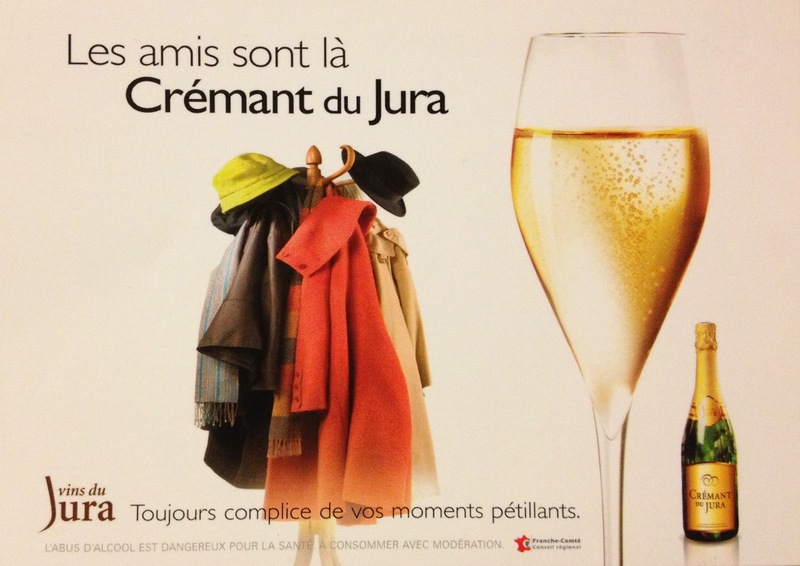 The latest export figures (exports represented 7% of total Jura sales in the year to July 2012), show that over half Jura’s exports are of Crémant du Jura. So, it’s important! Previous to 1995, the mousseux sparkling designation was incorporated into the various Jura appellations, and although it had essentially to be Traditional Method, growers made many different styles of sparkling wine, even oxidative. The Crémant du Jura appellation covers the same geographic area as the other Jura appellations, but does not distinguish between districts. More than 90% of producers in the Jura make some Crémant although production varies quite considerably between vintages as not every year is as suitable as others. As it is often a non-vintage designated wine, that does not present a great problem. For white Crémant du Jura there must be a minimum of 70% Chardonnay, Pinot Noir and Trousseau in the base wine blend (Poulsard and Savagnin are allowed for the balance). For rosé Crémant du Jura any blend of the three Jura red grapes must represent at least 50% of the base wine blend (Chardonnay and Savagnin are allowed for the balance). As elsewhere the Crémant appellation in the Jura imposes stricter rules on producers than the mousseux designation especially for the base wine quality, including insisting on manual harvest only, and whole bunch pressing in either a traditional wooden Champagne press or a pneumatic (bladder) press, with a maximum of 100 litres of juice allowed for 150kg of grapes. Second fermentation in the bottle, storage on lees, riddling and disgorgement takes place in the typical Traditional Method, although the required minimum time on second fermentation lees is only nine months (but no sales are allowed before 12 months after bottling). Having made their base wines, many producers will use an outside service for at least some of the subsequent processes. All but the largest producers will use a service for bottling the Crémant and for the disgorgement, however they will handle the riddling, either manually or by manual or automatic giropallets themselves. Most white Crémant du Jura is 100% Chardonnay and is a delicate sparkling wine often with an apple character along with some brioche or leesy notes depending on the time on 2nd fermentation lees. The good producers will leave the wine for at least 18 months rather than the minimum 12 months required. Above all it has a lovely freshness, but with plenty of ripe fruit to balance. Both Brut and Demi-Sec may be made, and for Brut the amount of ‘dosage’ added varies quite considerably, though there is a gradual and encouraging tendency towards dryer Crémants. White Crémant du Jura has a really excellent quality level in comparison with some of the other French Crémants, and offers excellent value for money. Rosé Crémant du Jura will often be 100% Pinot Noir, though Poulsard is used too. With the latter’s tendency to reduction, this has to be carefully handled. The rosé Crémants are increasing and gradually improving in quality too.